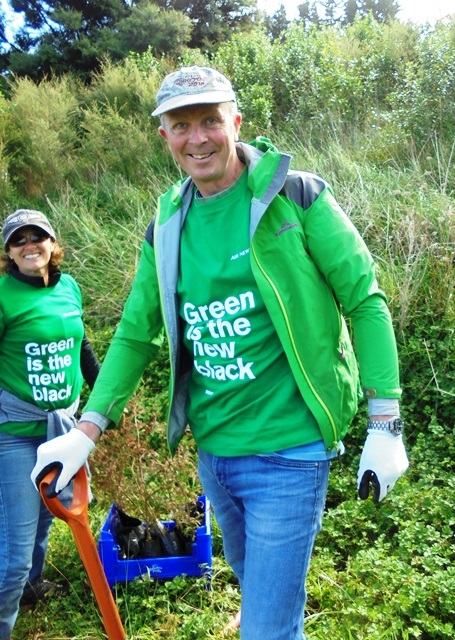 Air New Zealand has a strong commitment to offsetting the impact of air travel on the environment, and Air New Zealand employees are involved in several green initiatives. 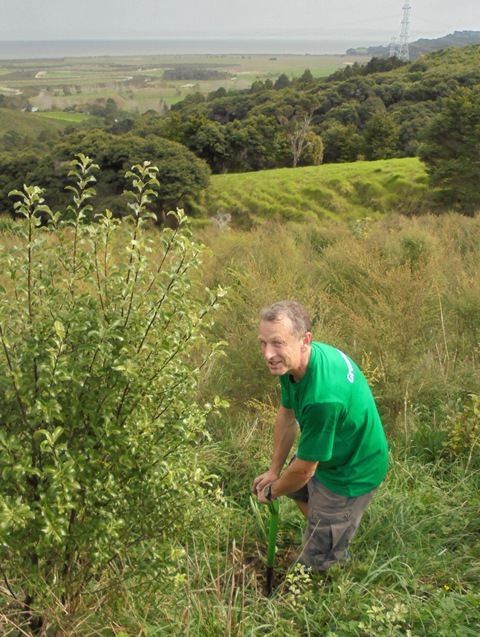 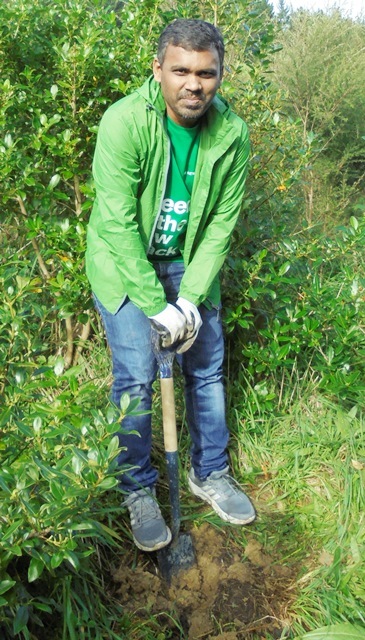 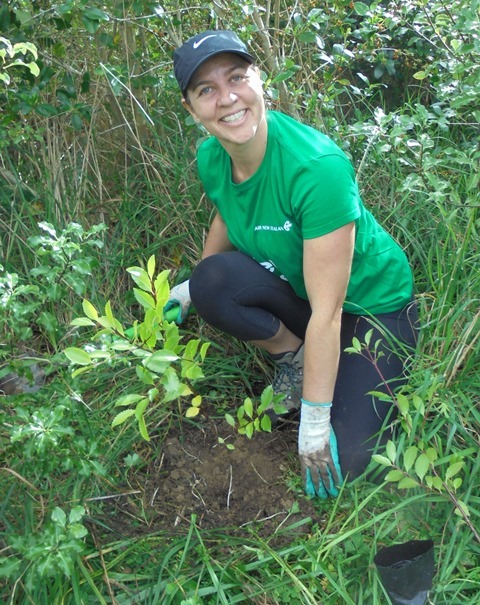 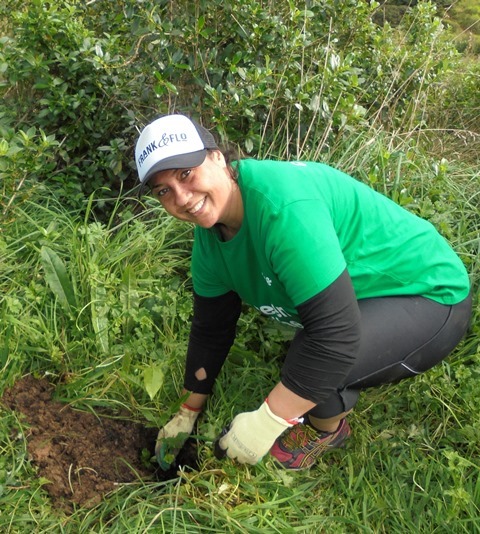 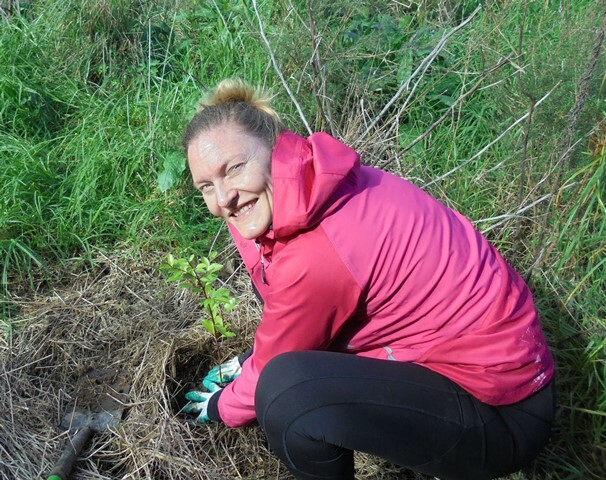 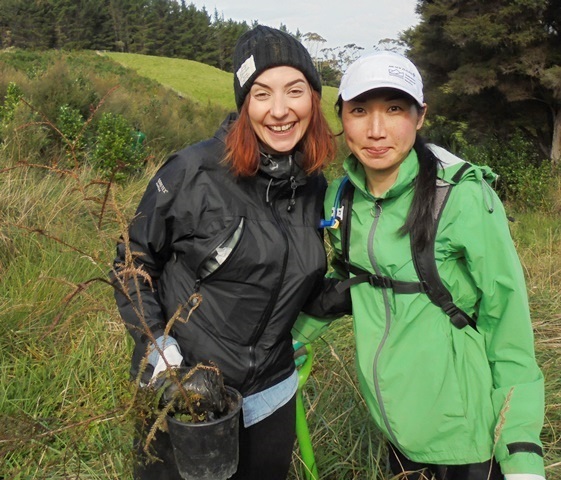 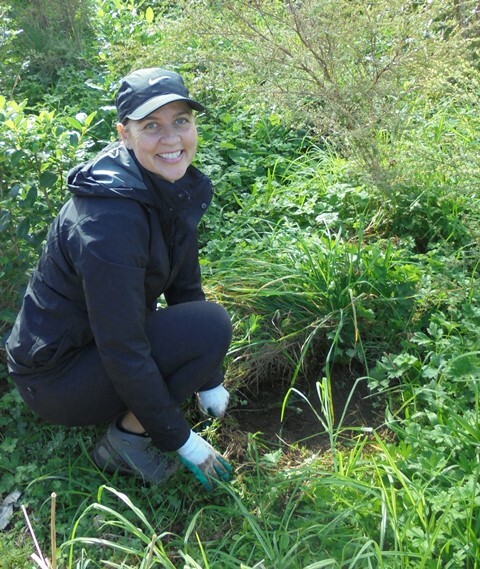 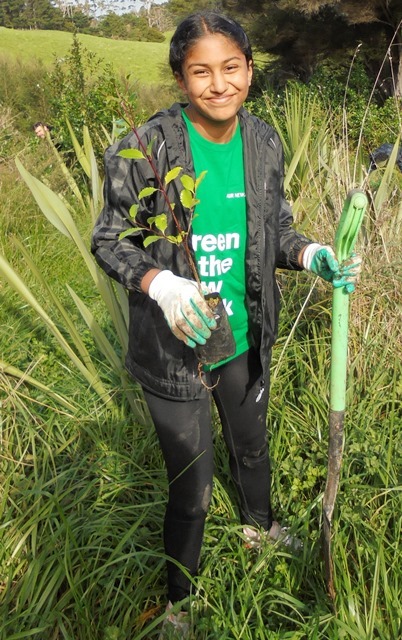 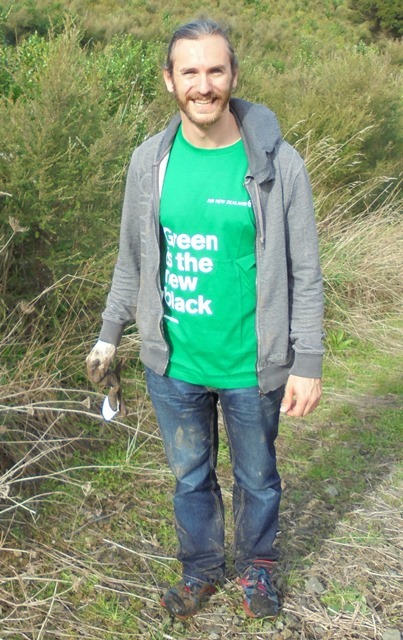 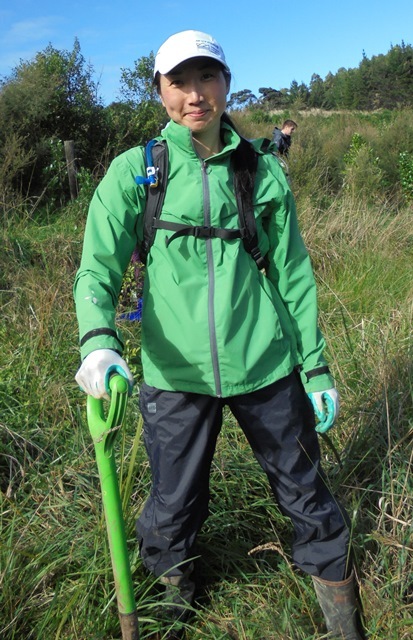 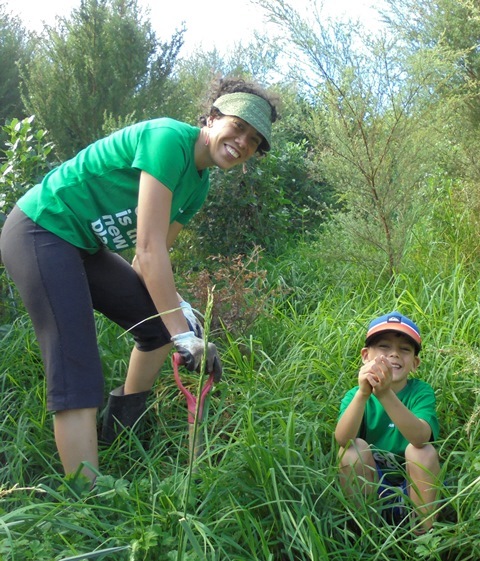 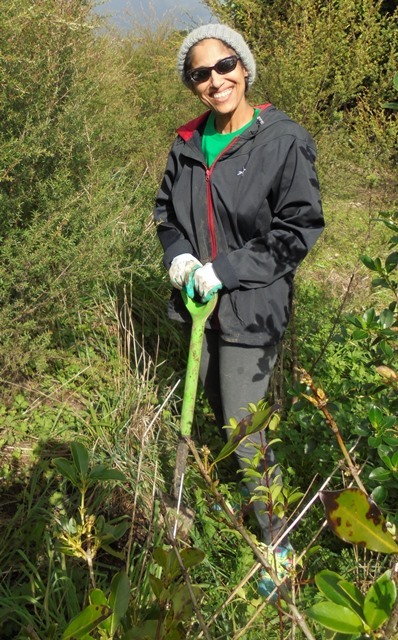 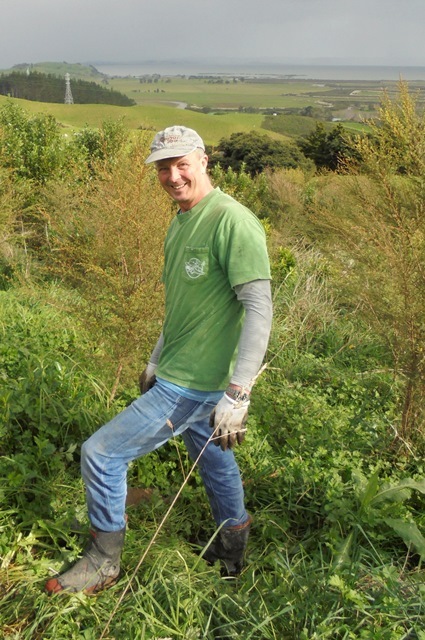 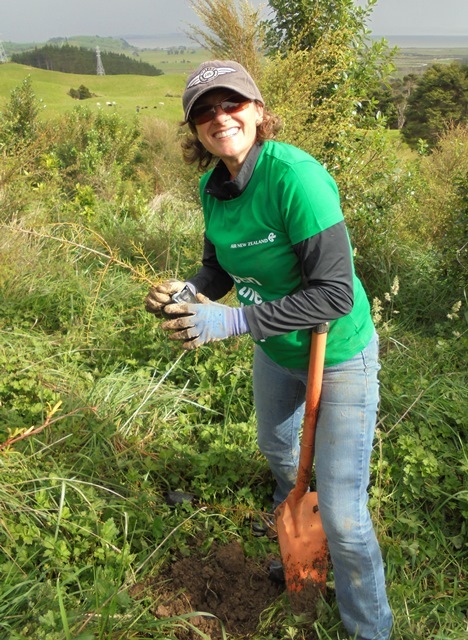 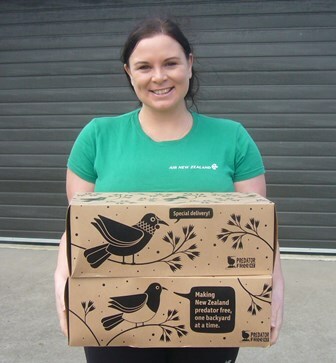 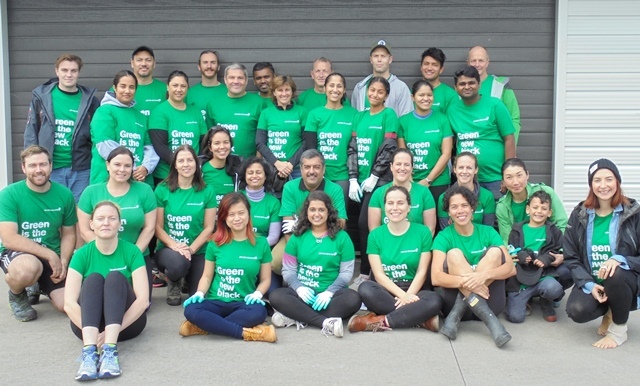 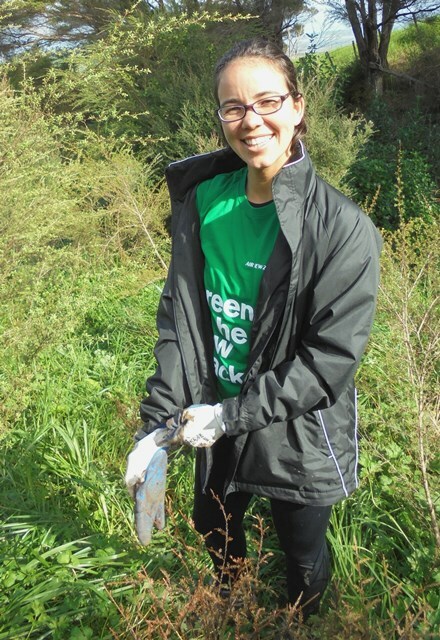 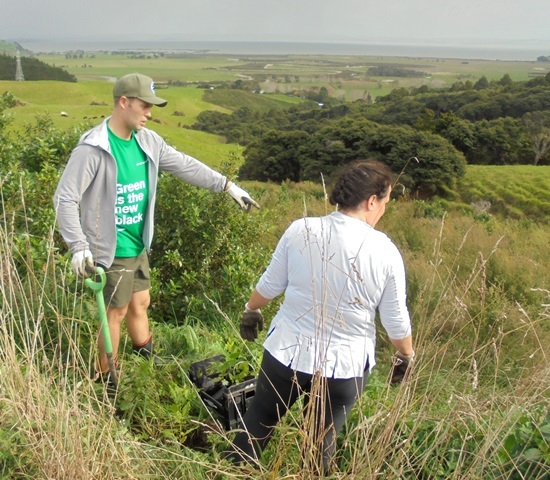 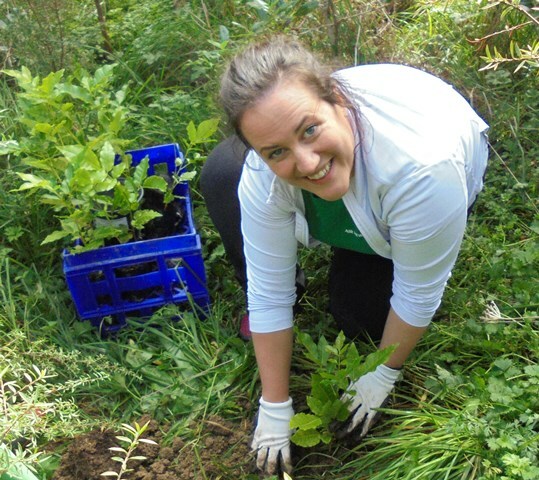 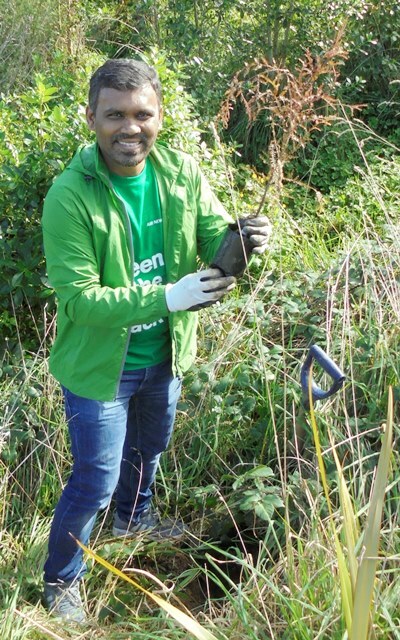 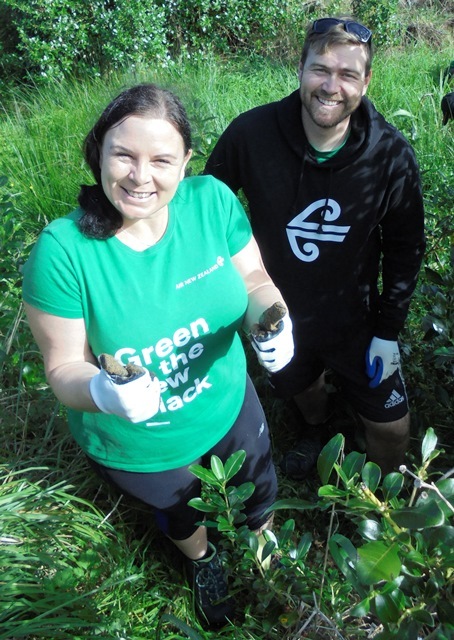 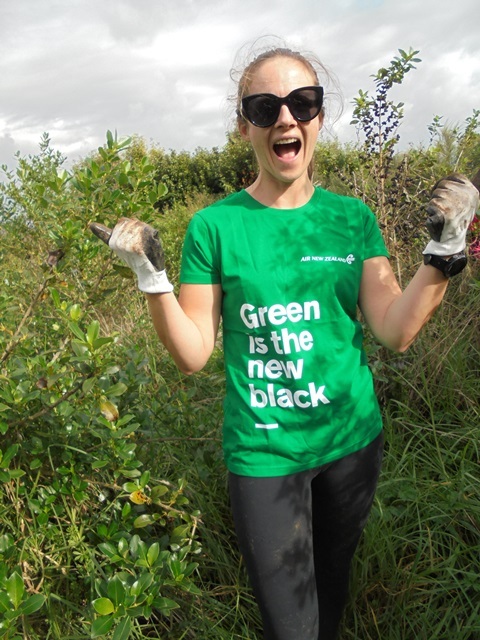 The Air New Zealand Greenteam includes almost 3,000 employees who are committed to environmental action and education both at work and home. 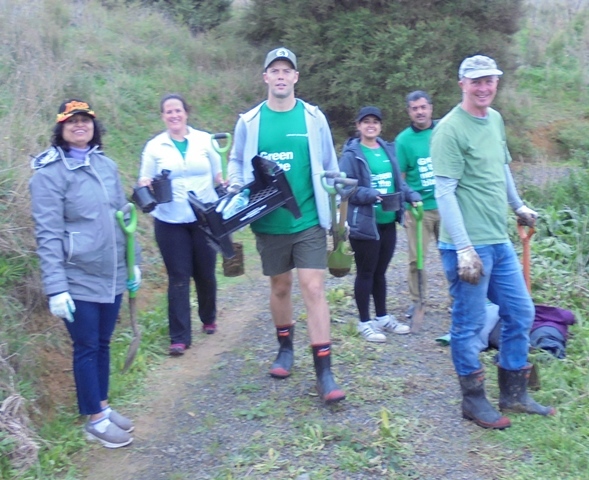 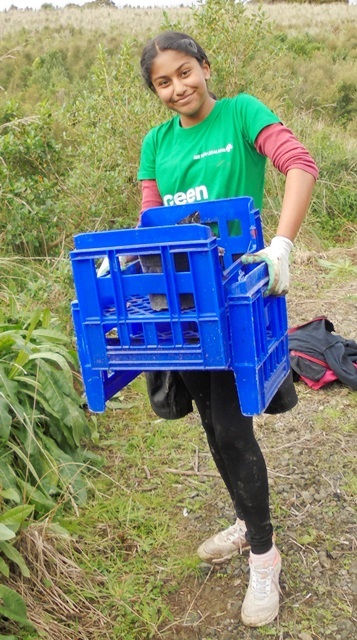 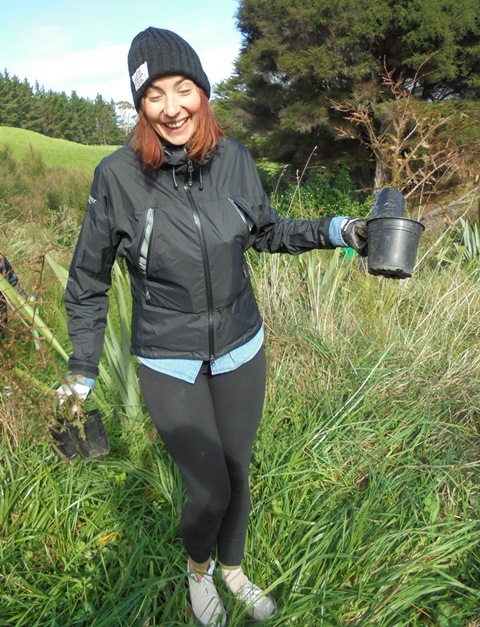 For the fourth year in a row, a great group of Air NZ staff who are also members of the Air NZ Greenteam spent a day a CUE Haven helping out with our planting efforts. 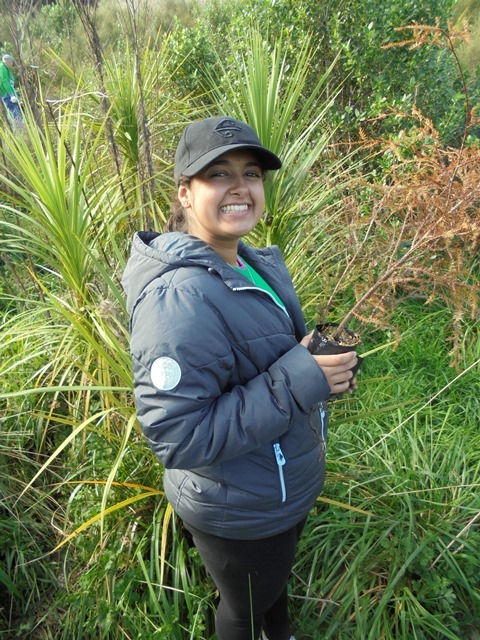 It was great seeing old friends and meeting lots of new ones! 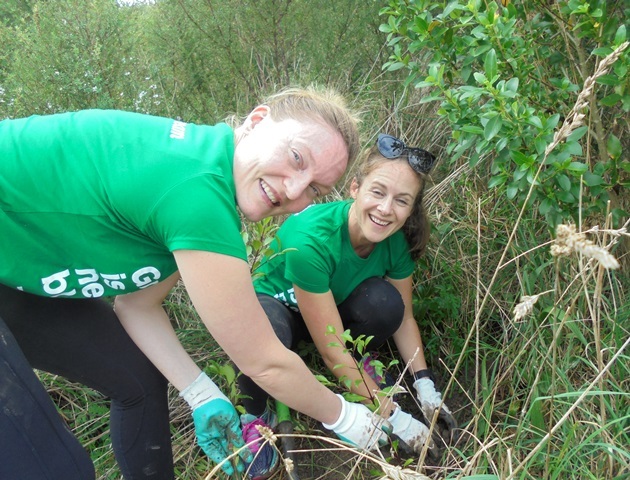 Many of the Greenteam members brought along family and friends and that contributed to the fun and relaxed atmosphere of the day. 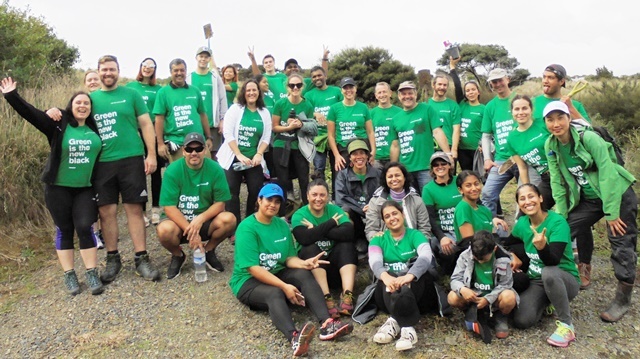 The group of 32 arrived around ten and included Anaru, Bel, Caroline, Devina, Diana, Emma, Jack, James, Jemiton, Josh, Joshua, Karen, Larissa, Leroy, Louise, Maria, Maya, Milica, Pheonix, Pia, Priyanka, Rachel, Rajesh, Rob, Shelley, Sherylene, Simon, Tim, Vicki, Vidhi, Yogin and Yukari. 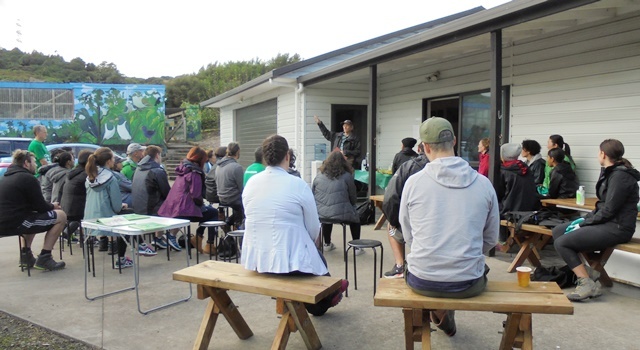 We had a relaxing morning tea and then Mahrukh gave a brief history of the CUE Haven restoration project and recent developments and Thomas gave an overview of the work planned for the day and a safety briefing. 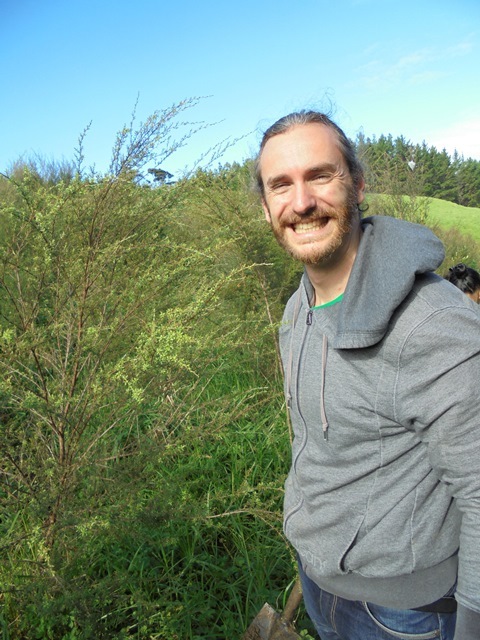 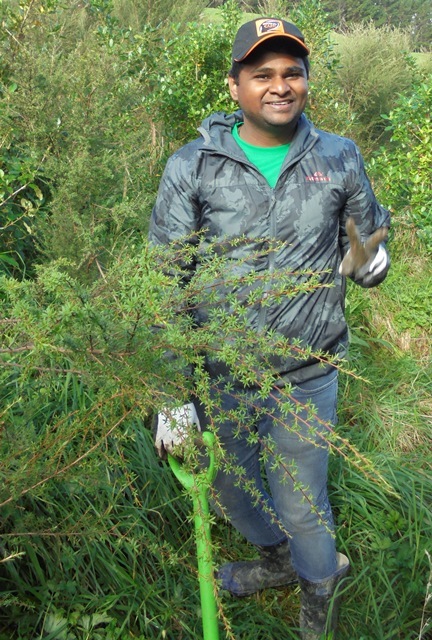 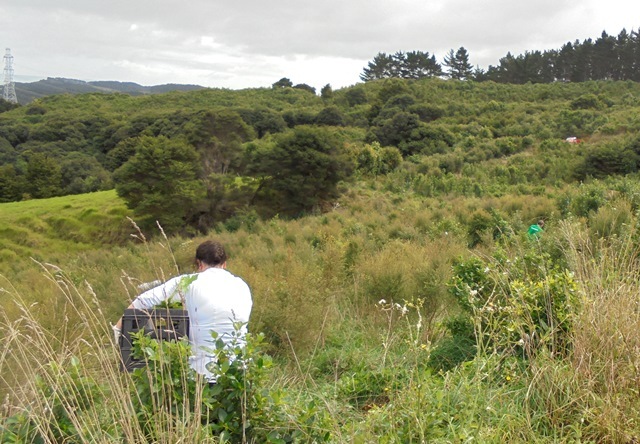 Today’s plan was to do infill planting of long-lived native trees (kahikatea, pukatea, kohekohe and totara) in an area near the top of the property which also has an extensive wetland . 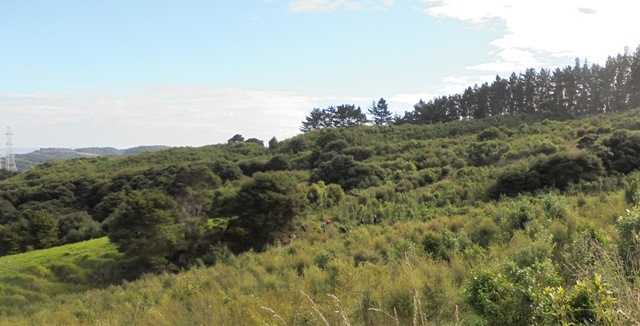 The area had been initially planted in 2015 and the pioneer trees have grown up enough to create a good environment for the bigger trees. 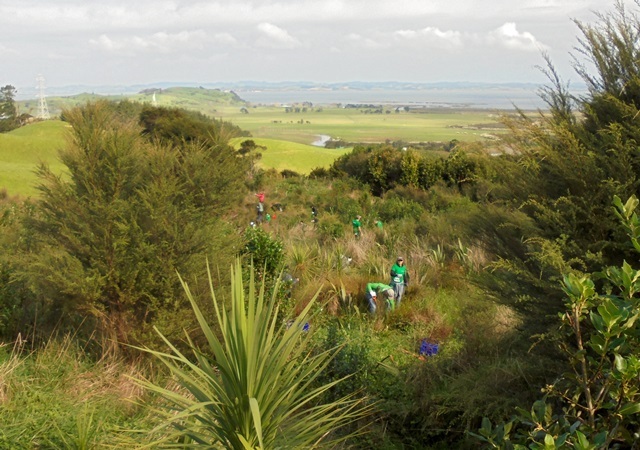 Because of the size of the group, we drove up in three smaller groups. 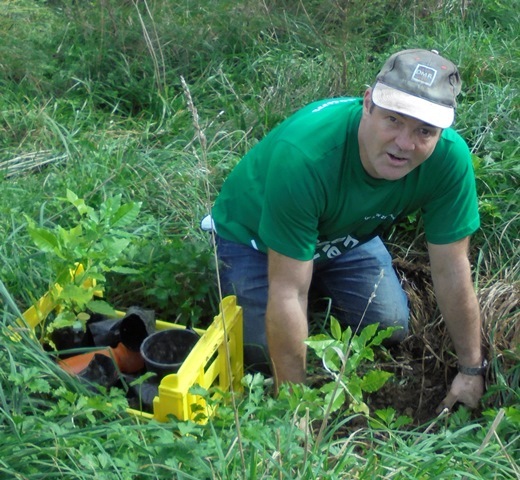 Once everyone was at the planting site, Thomas gave a planting demo and the group went to work. 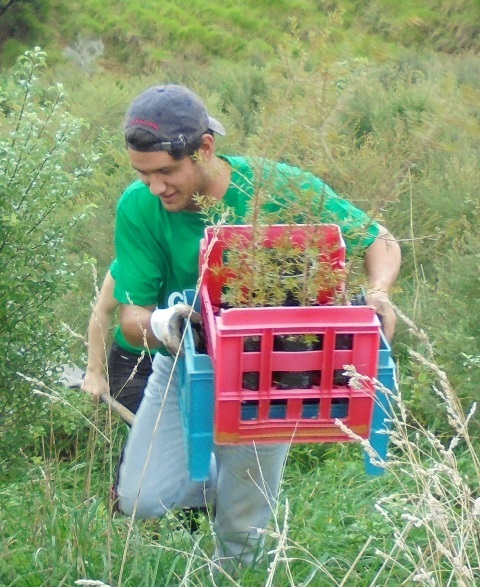 The crates of plants had been previously brought up and the group broke into teams. 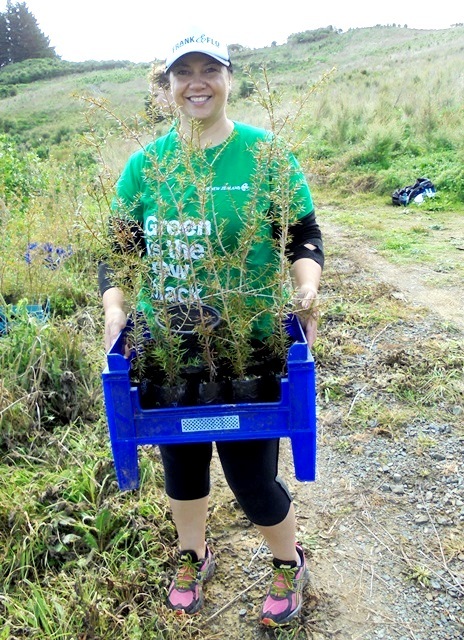 Each team took a crate and disappeared into the bush to find good planting spots. 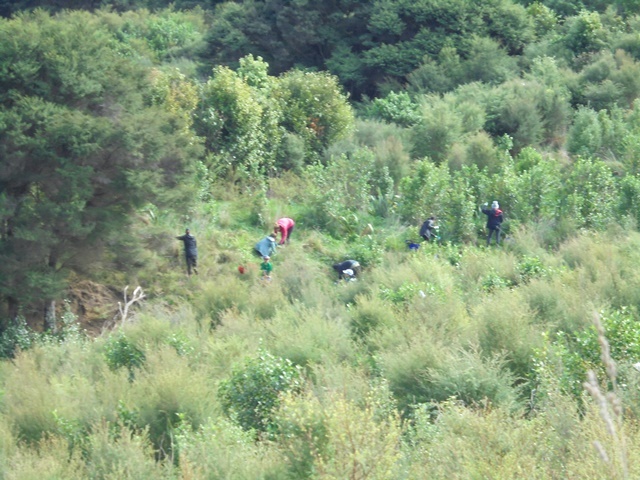 Today’s planting area was huge and the group quickly spread out. 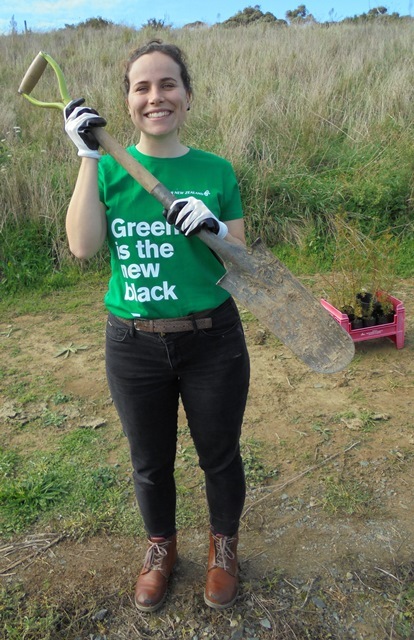 In an amazingly short amount of time, the group managed to plant all of the trees we had put out for the day—and when the Greenteam comes, we put out a lot of trees! 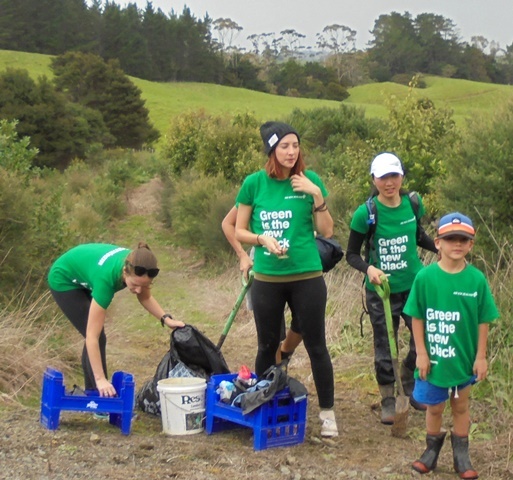 A fantastic effort! 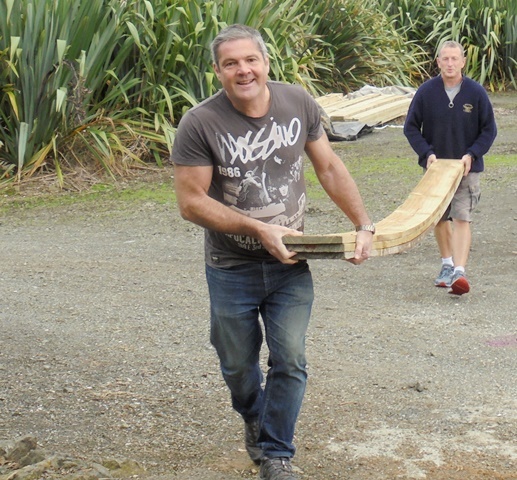 The team then collected up all the bags, crates and equipment and brought them up to the ute. 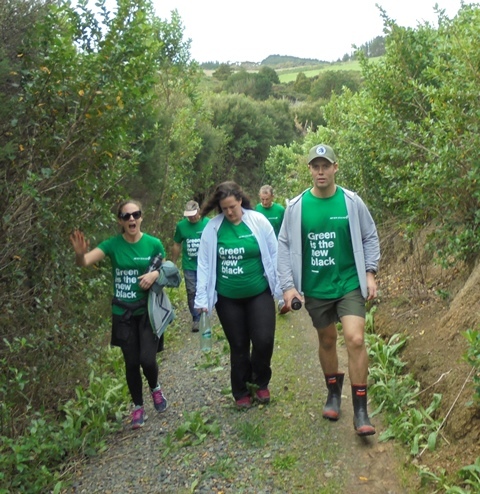 We then took a leisurely walk back to the cottage for a well deserved lunch. 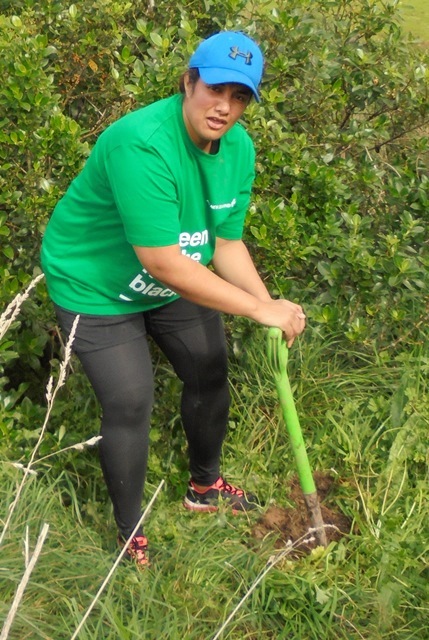 The hard working group did more than just plant trees. 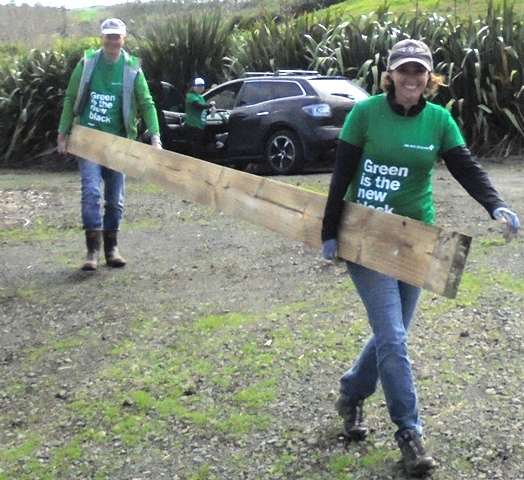 Earlier this week we had a big load of timber delivered and wanted to store it in the nursery out of the elements and some of the Greenteam members helped us move the timber to get it out of the way—thanks so much! 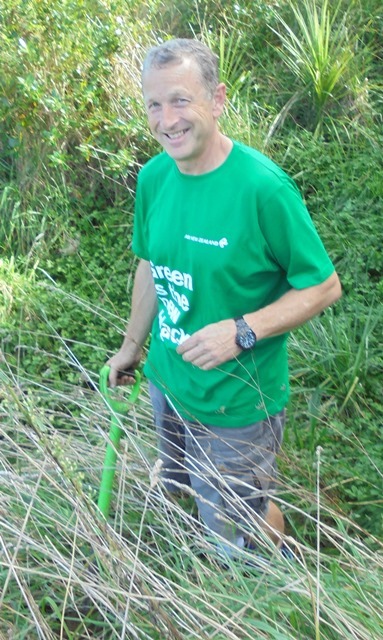 We always enjoy a visit from the Greenteam and today was another great day—fun and very productive. 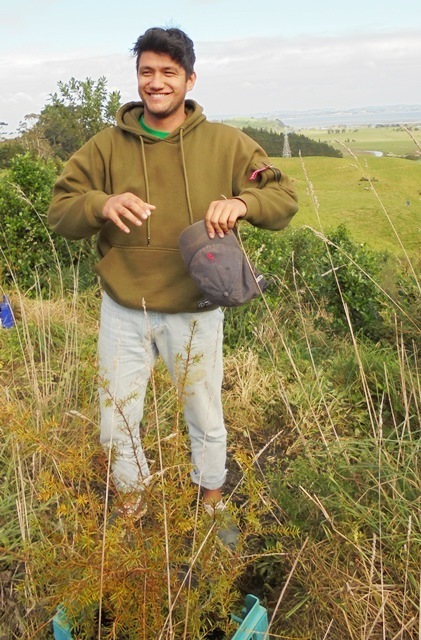 Plus we got a chance to meet a lot of nice new people and spend time with some old friends. 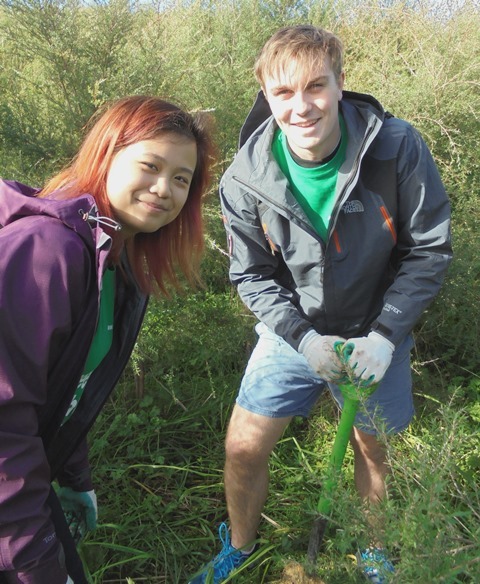 We hope you enjoyed the day as much as we did. 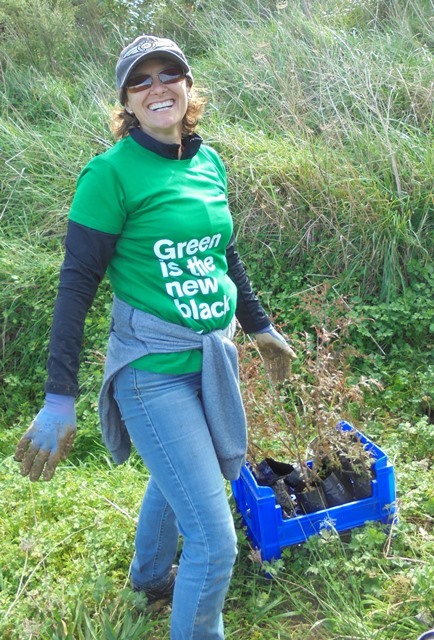 We want to thank Shelly for organizing the Greenteam visit. 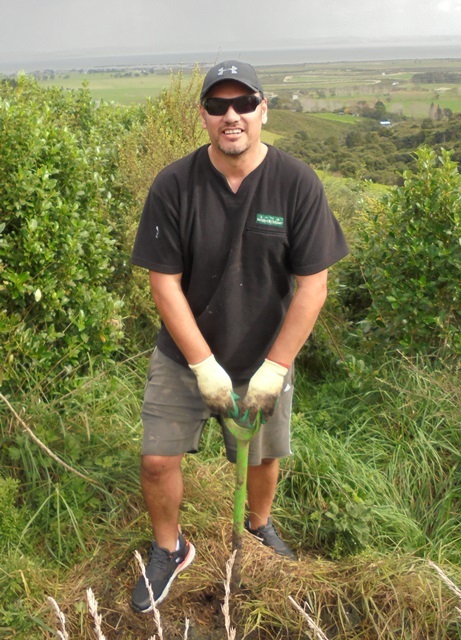 Shelley – we really appreciate your continued support and friendship and a big thank you for the traps which will be a help to our pest control efforts! 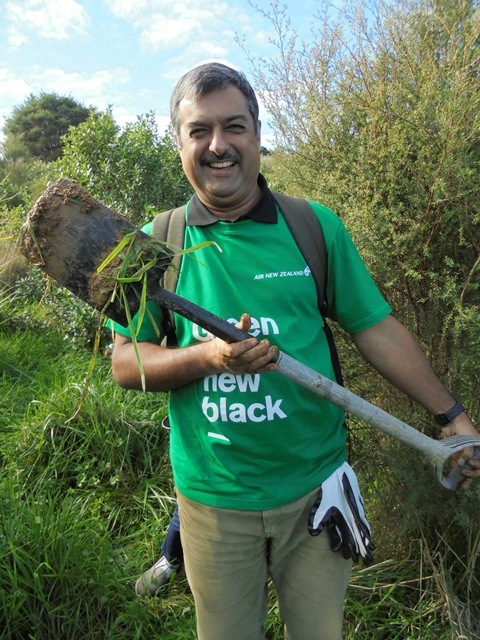 And a BIG thank you to all the Greenteam members and families and friends who came along today. 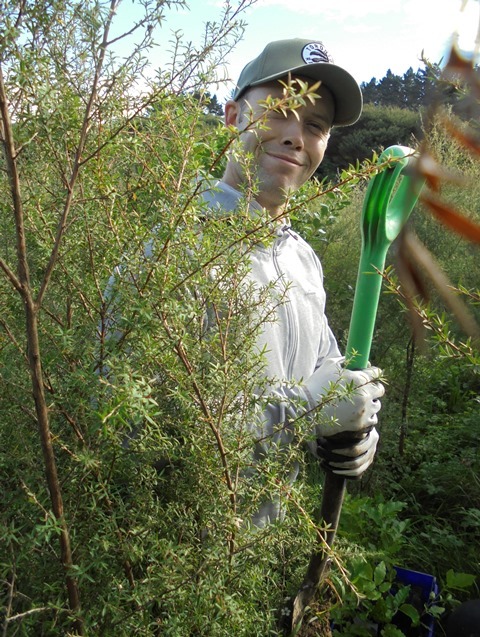 We really appreciate your enthusiasm and your hard work. 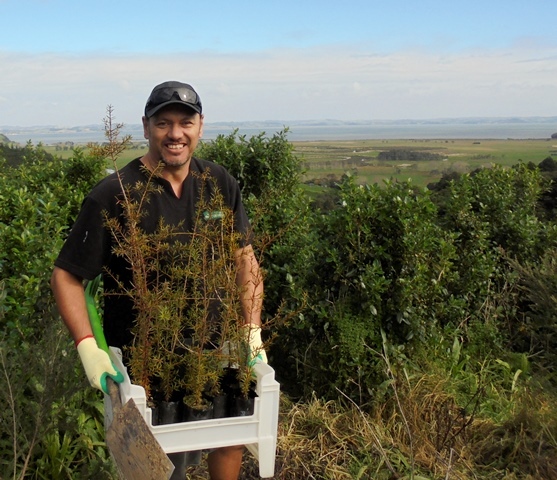 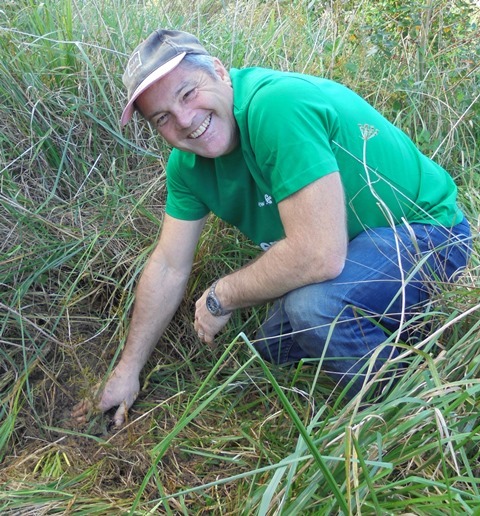 The trees you planted will live for hundreds of years and form part of a native forest for the community to enjoy for many generations. 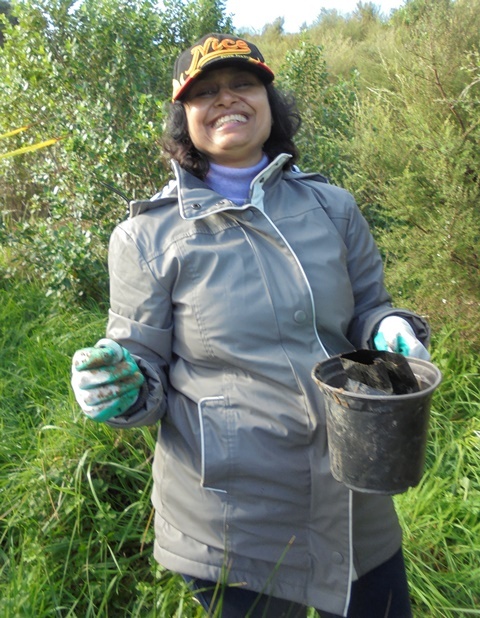 What a wonderful legacy!! 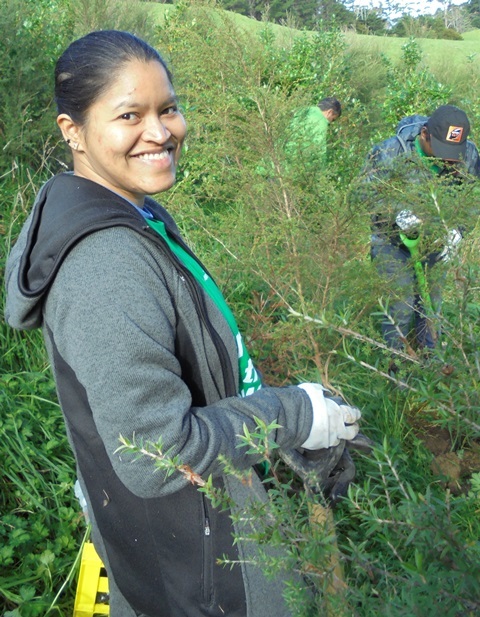 We hope you and your family and friends will visit CUE Haven often to explore and enjoy your community native forest reserve you have all helped create.